Dr Maria Van Kerkhove is the Head of the Outbreak Investigation Task Force at Institut Pasteur’s Center for Global Health and a technical consultant with World Health Organization (WHO). She is an experienced infectious disease epidemiologist with strong field experience in infectious disease outbreaks and epidemiologic investigations. Her main research interests include zoonotic, respiratory and emerging/re-emerging viruses such as avian influenza, MERS-CoV, Ebola, Marburg and Zika. The aim of Dr Van Kerkhove’s work is to support local authorities in the response of infectious disease outbreaks and rapidly translate scientific knowledge into public health policy and action. 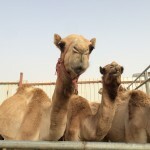 Dr Van Kerkhove is also currently a technical consultant for WHO as a member of the MERS-CoV task force and serves as an advisor to WHO for MERS-CoV. She has worked with WHO to routinely analyze available data from countries and conduct risk assessments, and regularly participates on outbreak-related Missions and to affected member states, including the Kingdom of Saudi Arabia, Republic of Korea, Jordan, and Qatar. In addition, Dr Van Kerkhove is a leading member of CONSISE (the Consortium for the Standardization of Influenza Seroepidemiology), which is a global partnership aiming to develop influenza investigation protocols and standardize seroepidemiology to inform health policy. This international partnership was formed in 2011 and was created out of a need, identified during the 2009 H1N1 pandemic, for timely seroepidemiological data to better estimate pandemic virus infection severity and attack rates to inform policy decisions. CONSISE has developed into a consortium of two interactive working groups: epidemiology (for which Maria leads) and laboratory (co-lead by John Wood and Othmar Engelhardt of NIBSC), with a steering committee composed of individuals from several organizations. For more information : see CONSISE website. Dr Van Kerkhove was previously employed by Imperial College London in the MRC Centre for Outbreak Analysis and Modelling where she worked closely with WHO on influenza, yellow fever, meningitis, MERS-CoV and Ebola Virus Disease. While at Imperial College, Maria Van Kerkhove served as a senior research fellow in the MRC Centre for Outbreak Analysis and Modelling, Department of Infectious Disease Epidemiology at Imperial College London and a Technical Consultant for the Global Capacities, Alert and Response Cluster of the WHO. Dr Van Kerkhove remains a technical consultant for WHO. Most recently, Dr Van Kerkhove and several members of the MRC Centre for Outbreak Analysis and Modelling have been closely with the WHO and other international partners in the field to analyze Ebola data from the three most heavily affected countries: Guinea, Liberia and Sierra Leone. Dr Van Kerkhove served as the liaison between the WHO and the MRC Centre for Outbreak Analysis and Modelling. In this role, she developed projects to support WHO activities and policy decision making for Ebola, MERS-CoV, pandemic influenza, avian influenza, yellow fever, and other emerging diseases. She and Centre staff continue to provide technical assistance to WHO (including to the Global Influenza Programme, the Pandemic and Epidemic Diseases Department, Initiative for Vaccine Research department and the Global Outbreak Alert and Response Network) through the interpretation of available global data, in collaboration with WHO’s member states, regional and country offices and internationally renowned scientists. During the 2009 H1N1 influenza pandemic, Dr Van Kerkhove worked directly with WHO’s Global Alert and Response and Global Influenza Programme to support the pandemic response. Her main activity during the pandemic was to coordinate the WHO informal mathematical modelling network for H1N1pdm under the leadership of Professor Neil Ferguson and Dr. Cathy Roth (WHO), which included more than 40 Individuals from public health and academic organizations from around the world. Prior to 2009, Dr Van Kerkhove’s research focus was highly pathogenic avian influenza H5N1 (HPAI/H5N1). This research was conducted in Cambodia in collaboration with the Ministry of Agriculture, Fisheries and Forestry (NAVRI), Institut Pasteur du Cambodge and London School of Hygiene and Tropical Medicine, and involved the collection of novel field data in rural, peri-urban and urban areas of Cambodia to better understand the risks of transmission of HPAI/H5N1 from poultry to humans and the potential circulation of HPAI via live poultry trade. Dr Van Kerkhove holds a Ph.D. in infectious disease epidemiology from the London School of Hygiene and Tropical Medicine, a M.S. in Epidemiology from Stanford University, and a B.S. in Biological Sciences from Cornell University. Modjarrad K, Moorthy VS, Ben Embarek P, Van Kerkhove M, Kim J, Kieny MP, A roadmap for MERS-CoV research and product development: report from a World Health Organization consultation, Nat. Med. 2016 Jul;22(7):701-5. Arabi YM, Balkhy HH, Hayden FG, Hui DS, Van Kerkhove MD, Fowler RA, The search for therapeutic options for Middle East Respiratory Syndrome (MERS), J Infect Public Health 2016 May-Jun;9(3):213-5. Cauchemez S, Besnard M, Bompard P, Dub T, Guillemette-Artur P, Eyrolle-Guignot D, Salje H, Van Kerkhove MD, Abadie V, Garel C, Fontanet A, Mallet HP, Association between Zika virus and microcephaly in French Polynesia, 2013-15: a retrospective study, Lancet 2016 May;387(10033):2125-2132. Lessler J, Salje H, Van Kerkhove MD, Ferguson NM, Cauchemez S, Rodriquez-Barraquer I, Hakeem R, Jombart T, Aguas R, Al-Barrak A, Cummings DA, , Estimating the Severity and Subclinical Burden of Middle East Respiratory Syndrome Coronavirus Infection in the Kingdom of Saudi Arabia, Am. J. Epidemiol. 2016 Apr;183(7):657-63. Arabi YM, Fowler R, Bright RA, Van Kerkhove MD, Balkhy HH, Knowledge gaps in therapeutic and non-therapeutic research on the Middle East respiratory syndrome, Lancet Respir Med 2016 Feb;4(2):93-4.
, Ebola Virus Disease among Male and Female Persons in West Africa, N. Engl. J. Med. 2016 Jan;374(1):96-8. Nouvellet P, Garske T, Mills HL, Nedjati-Gilani G, Hinsley W, Blake IM, Van Kerkhove MD, Cori A, Dorigatti I, Jombart T, Riley S, Fraser C, Donnelly CA, Ferguson NM, The role of rapid diagnostics in managing Ebola epidemics, Nature 2015 Dec;528(7580):S109-16. Van Kerkhove MD, Cooper MJ, Cost AA, Sanchez JL, Riley S, Risk factors for severe outcomes among members of the United States military hospitalized with pneumonia and influenza, 2000-2012, Vaccine 2015 Oct;. Lipsitch M, Donnelly CA, Fraser C, Blake IM, Cori A, Dorigatti I, Ferguson NM, Garske T, Mills HL, Riley S, Van Kerkhove MD, Hernán MA, Potential Biases in Estimating Absolute and Relative Case-Fatality Risks during Outbreaks, PLoS Negl Trop Dis 2015 Jul;9(7):e0003846. Laurie KL, Engelhardt OG, Wood J, Heath A, Katz JM, Peiris M, Hoschler K, Hungnes O, Zhang W, Van Kerkhove MD, International Laboratory Comparison of Influenza Microneutralization Assays for A(H1N1)pdm09, A(H3N2), and A(H5N1) Influenza Viruses by CONSISE, Clin. Vaccine Immunol. 2015 Aug;22(8):957-64.